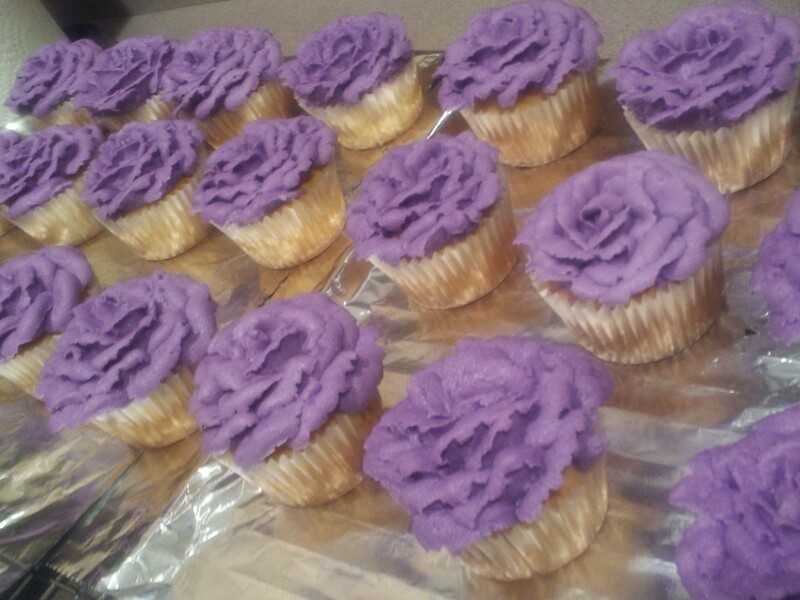 While these were cooling, I mixed the violet-ish vanilla frosting. 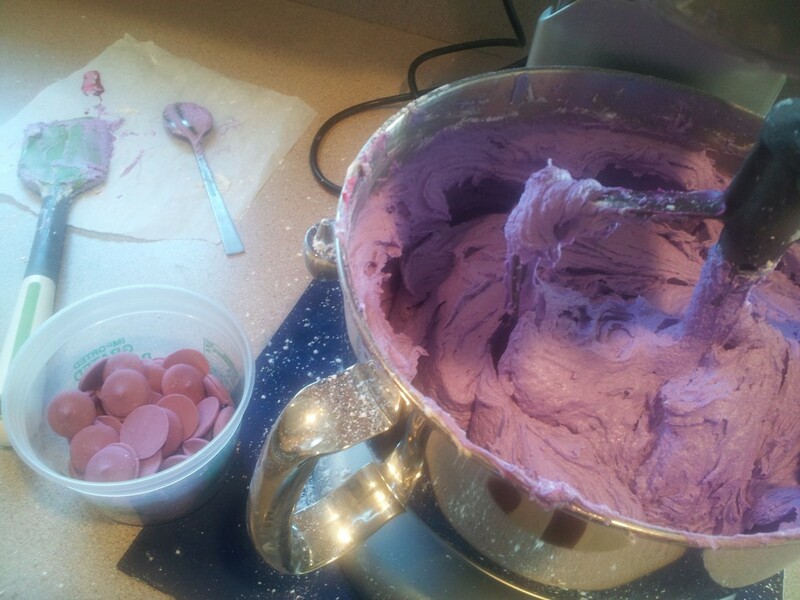 Their wedding color was purple… or eggplant or plum or violet or whatever shade you want to call it, so I coordinated the frosting to try to match the cake ball favors as much as possible. Which is tough as you don’t really want to f*ck with the consistency of candy melts or frosting by adding too much gel coloring. I got pretty close mixing an entire container of violet gel and and slowly adding rose, but those food colors taste pretty bitter so I ended up adding extra sugar. And since I was going to pipe giant roses, I needed to add shortening to stiffen up the consistency. I added even MORE confectioner’s sugar to try to mask the blandness of the shortening. Between the color of the frosting, the melted candy coating, and the tissue paper and labels for the favor boxes, I had all varying degrees of purple. 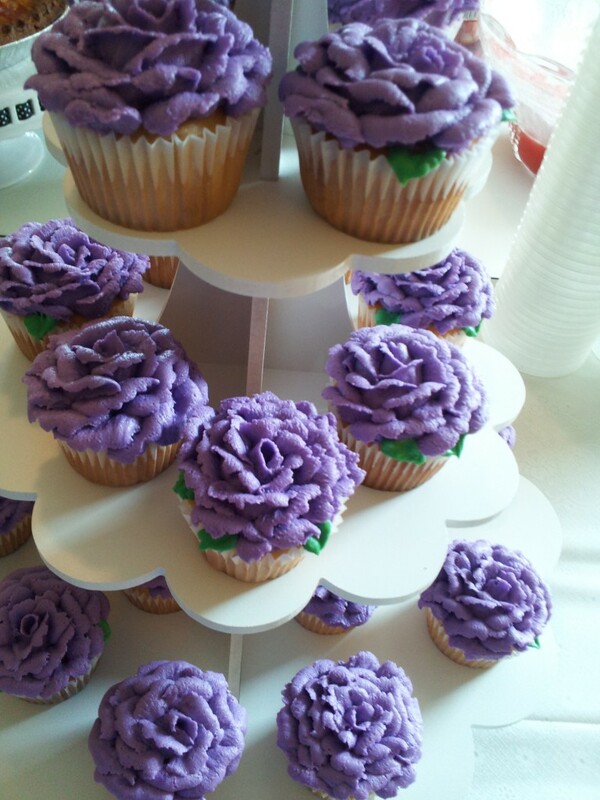 I selected the best looking 30 cupcakes for the shower (honestly, they were ALL good =) and went on a rose piping binge. I timed myself and on a good turn, I can pipe out a decent giant flower in just over a minute… 90 seconds if I was REALLY careful. haha I mixed a bit of green frosting and to pipe out little leaves as a pop of color for the cupcakes. 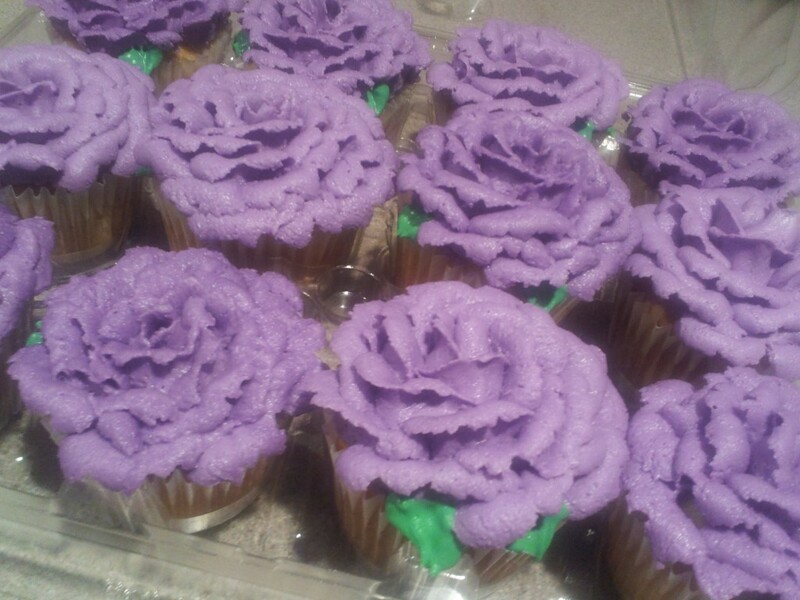 I WAS going to pipe leaves on all the cupcakes, but my arm was giving out after churning out all those purple roses. Setting my blooming garden aside, I ground up some frozen cinnamon-spiced chocolate cake in my beloved NINJA and mixed in a little light rum frosting for the cake balls. I figured it’s September, let’s get ready for fall… so why not the spiced flavor? 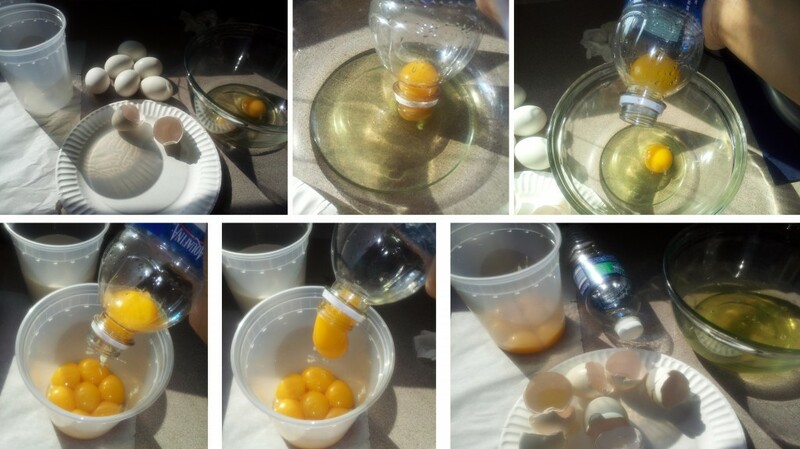 Based on previous experience with the favor boxes (the same sized boxes were used for Em’s wedding) and being an all around expert on balls, I rolled out tablespoon-sized spheres in my hands and laid them out on a cookie sheet to harden in the fridge. I dipped the naked balls in the purple candy melts and let them dry. I had planned on punching out white fondant flowers with edible beads (as if I needed an excuse to use sugar beads or sprinkles! ), but I was running out of time and needed to catch SOME sleep, so I melted some white chocolate and zigzagged some white stripes over the balls. After the white chocolate designs set, I packaged the favors in the boxes with purple tissue paper and custom labels for the event. I bought this MDF tray to display my bouquet of roses. But it came in this cardboard color so I spray painted it white. Unfortunately, it was a b!tch to assemble since the paint made the interlocking parts stick together. I had put it together before after painting one layer and it was fine, but some of the pieces stuck together (after a DAY of drying??? geesh!) so I sprayed another layer and that was the end of it. Vin was my big, strong muscle and hammered the pieces into place for me. The stand looked great and that’s good, b/c I ain’t taking it apart again! 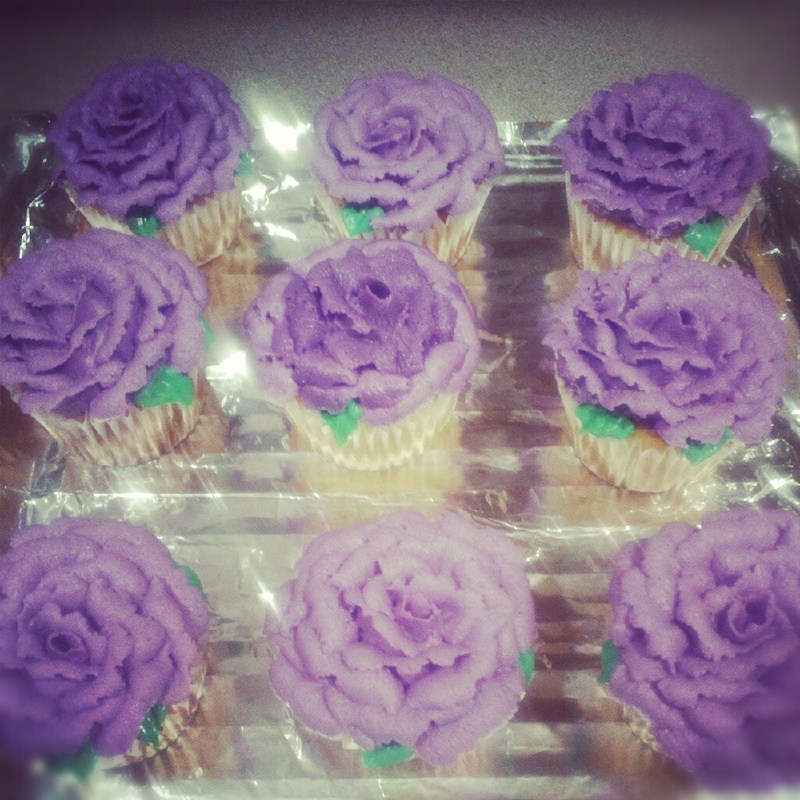 I am a rose-piping machine.